There is no better way to pay tribute to a veteran than through an attractive engraved brick recognizing them for their service. New orders received by August 30th, 2019 will be installed in time for Veteran's Day 2019. If you would like to order an engraved paver, Click Here. 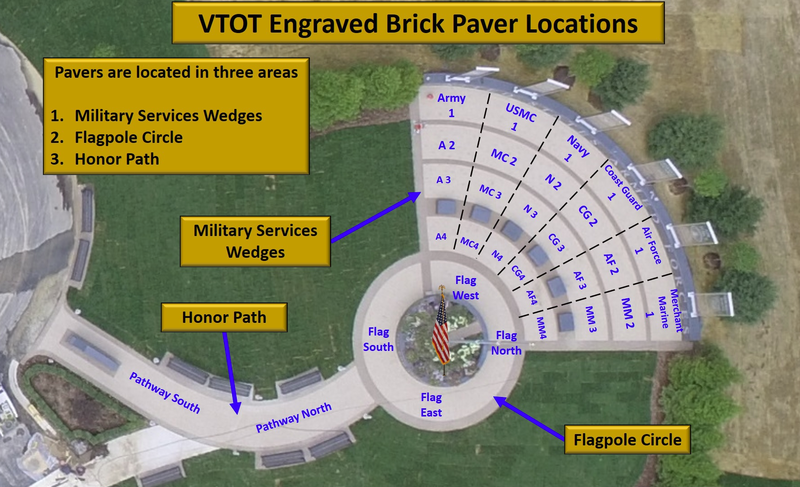 To locate a Tribute Paver: Enter the last name (or just the first few letters) of either the purchaser or honoree.